Sleeves doesn't look like a real word, does it? 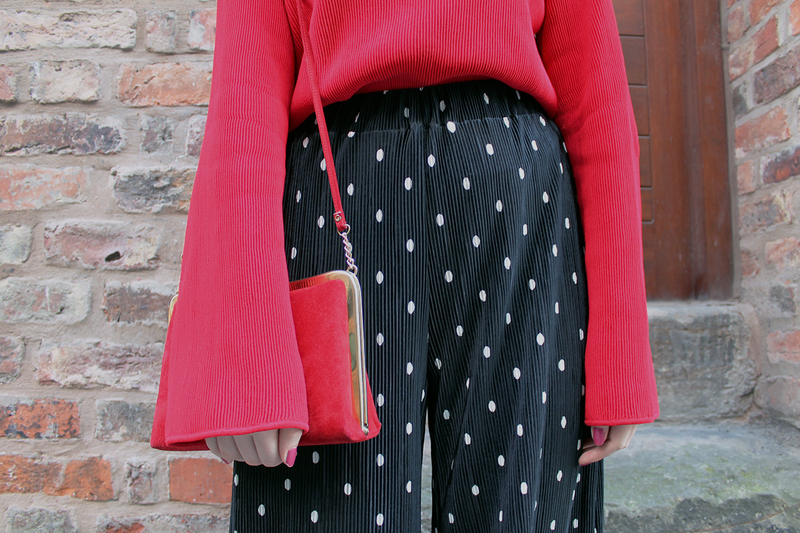 I'm obsessed with these sleeves though, Celine inspired but in fact I found it in the Topshop sale. Admittedly it's from the tall section, and being just 5'6" it isn't really meant for someone my size but damn it looks good. I do chat more about this in my recent fashion favourites video, so make sure to watch that if you've got some time on your hands. - Yep, I've started Youtube again, so please subscribe! I'll be checking out people's channels too. 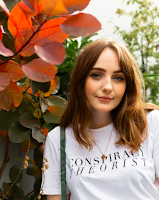 Last night I headed out for a long overdue catch up with Beth and our friend from school, Jess, who's considering starting her own blog and totally should - comment below and back me up! 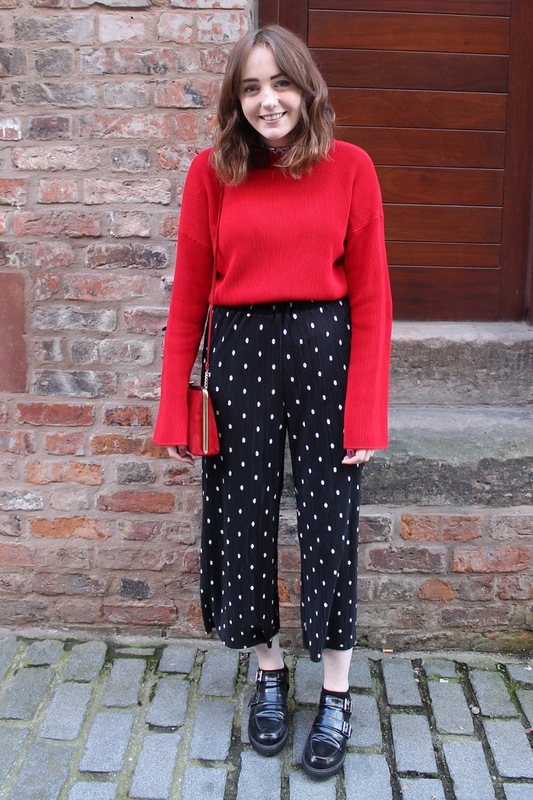 We had tea at my fave restaurant The Italian Club, that gnocchi is possibly my favourite meal ever, and I managed to not spill any of it on this outfit! Subscribe to my revamped channel here - more videos coming soon! 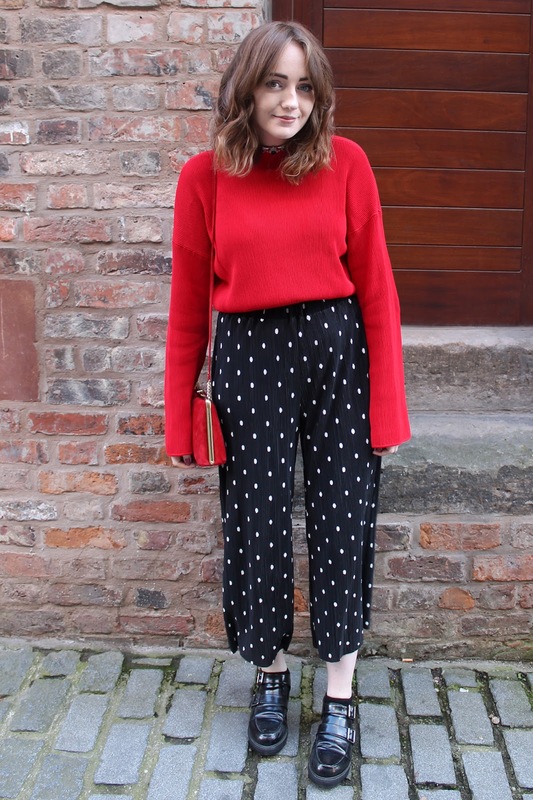 i love these polka dot pants but didn't manage to get my hands on them in time, you look gorgeous. 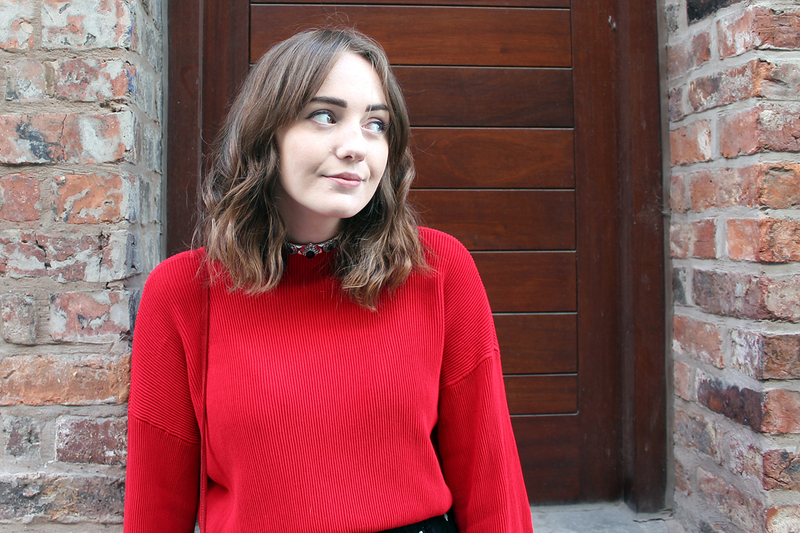 love the red jumper! This outfit is amazing. 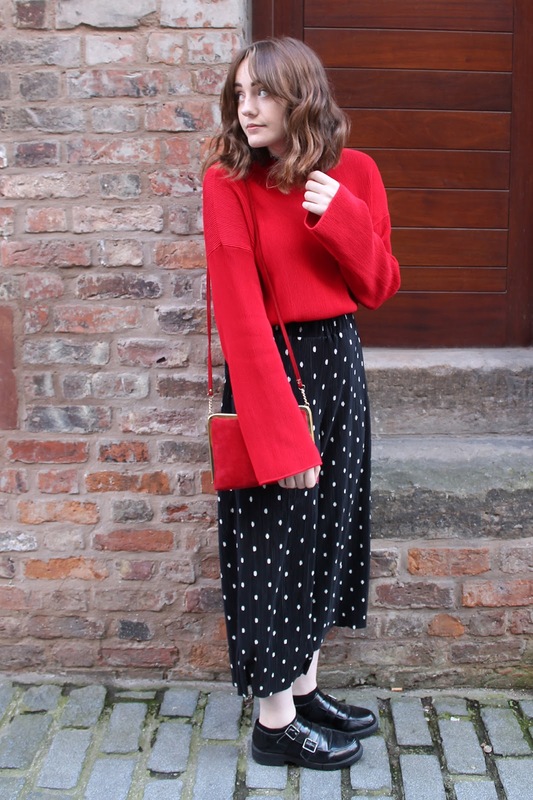 The red with the polka dots works so well! Wow I'm loving this whole outfit girl, you look lovely! Them trousers look so comfortable too. The trousers are so cute!! And I love how you paired them with red, the whole outfit is so nice! I need to go to Zara asap!